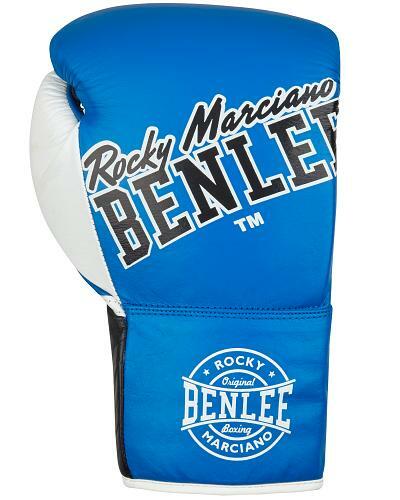 BenLee "Rocky Marciano" Leather Contest Gloves Big Bang, proffessional competition boxing gloves, also suitable for competition training. 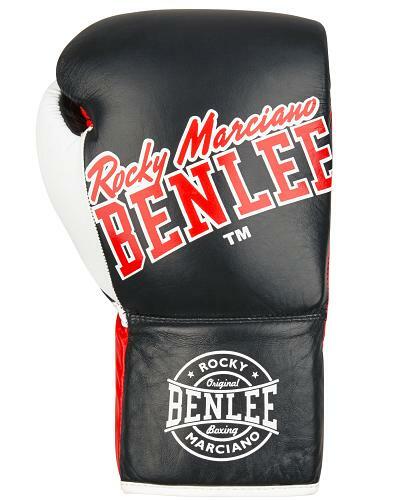 Made in a fine cowhide full grain leather and padded with a 3 layer foam core, designed for competition. Big Bang comes in 8 and 10 ounces with a regular fitting for normal sized hands and in 10L oz, which stands for 10oz Large for bigger and wider hands. Crafted for boxing- and other martial arts. Available in blue, red and black in 8, 10R(regular) and 10L(large) ounces.